FRANKFURT, Germany – Volkswagen announced plans Friday to cut 30,000 jobs in a wide-ranging restructuring of its namesake brand as it tries to recover from a scandal over cars rigged to cheat on diesel emissions tests. Company officials at a news conference at its headquarters in Wolfsburg said 23,000 of the job cuts will come in Germany and that the measures will save some $4 billion a year from 2020. The announcement caps a difficult year for Volkswagen, which has been embroiled in an emissions-rigging scandal that damaged the company’s reputation and cost it billions. The cuts are aimed at addressing Volkswagen’s longstanding cost issue. Volkswagen, with 624,000 employees, sells roughly the same number of cars as Toyota and General Motors, around 10 million a year. But Toyota does it with 349,000 workers and GM with 202,000. 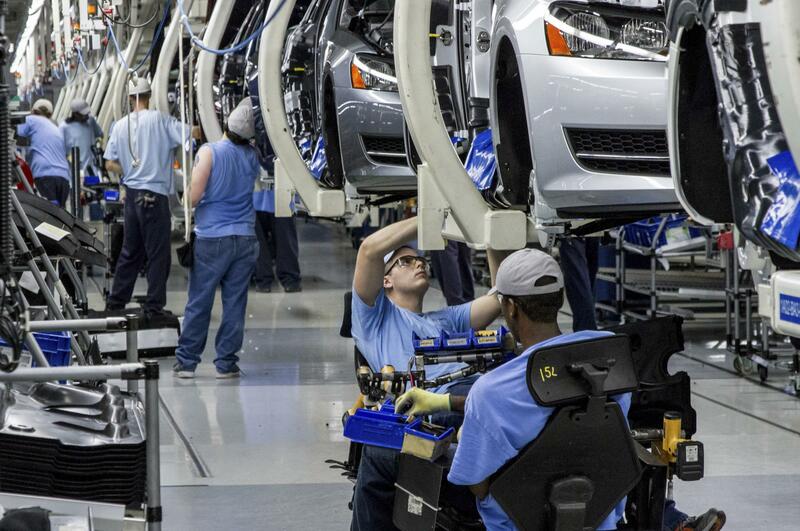 One reason for VW’s higher cost-base and headcount is the role that employee representatives play at the company. As at other large German companies, employees have half the seats on the board, a power they can use to resist moving production outside Germany or to suppliers. In addition, the state of Lower Saxony, where the headquarters is located, owns a stake in the company and tends to support employee interests as well. The cuts will mainly fall on its 120,000-strong German workforce. However, job cuts are also foreseen in Brazil and Argentina. Jobs will be reduced through voluntary departures such as early retirement and attrition. Labor representatives won a guarantee of no involuntary layoffs through 2025. The company has said it aims to cut nonessential costs and investments and shift resources toward battery-powered cars and internet-based services such as car-sharing and ride-sharing. The company had been slower than some competitors to move toward electric cars but has shifted its view after the scandal underlined diesel’s limitations. Volkswagen now says it plans to introduce more than 30 electric-powered vehicles by 2025, and to sell 2 to 3 million of them a year. Volkswagen’s package of measures received a lukewarm welcome in markets. The company’s share price was down 0.3 percent at 128.75 euros, in line with the broader decline in Germany’s benchmark DAX stock index. Published: Nov. 18, 2016, 8:17 a.m.